I just made this a few weeks ago and remembered how much I love it! The sauce is to die for! I’m sure most of my friends have had it at my house at a dinner party at some point over the years. Full disclosure, I got this at a neighborhood party many, many years ago and I’m not sure who made it….I think it’s either Carre or Kate who got it at a cooking class? Anyway, it’s fabulous and I almost always make it now with leftover salmon. You know how you buy that big piece at Costco and there’s always leftovers…well make this! Yes, it’s a bit time consuming, but just make a bunch of them and freeze for a later date. 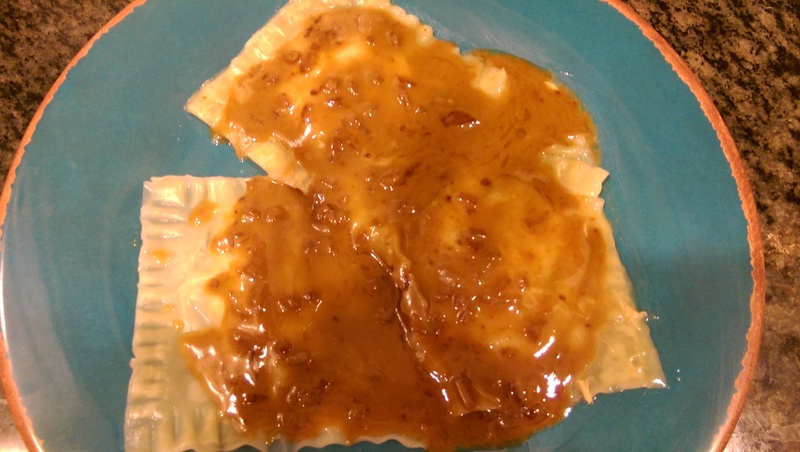 You can pre-make the ravioli, freeze it on cookie sheets, then transfer to ziploc bags so they’re easy to just take out a few. Just take out a couple of hours before you’re ready to poach & serve it. In a saucepan over medium heat, combine shallots, vermouth, and tamari (or soy). Cook until reduced to about 2 T. (I never do this…I usually wait till it’s reduced a bit and then proceed) Add cream and cook until reduced to about 2 T (again, I don’t usually wait for this, but just let it reduce a little…have I mentioned I’m impatient!). Over heat add butter a T. at a time until melted. (I just added the whole stick at once) Set aside. In a bowl mix the filling ingredients and set aside. To make ravioli, beat the egg with the water and a pinch of salt. Set aside. Place a round teaspoon o filling in each wonton wrapper. Moisten the edges with the egg wash. Cover with another wrapper and press around the edges to remove air and seal well. 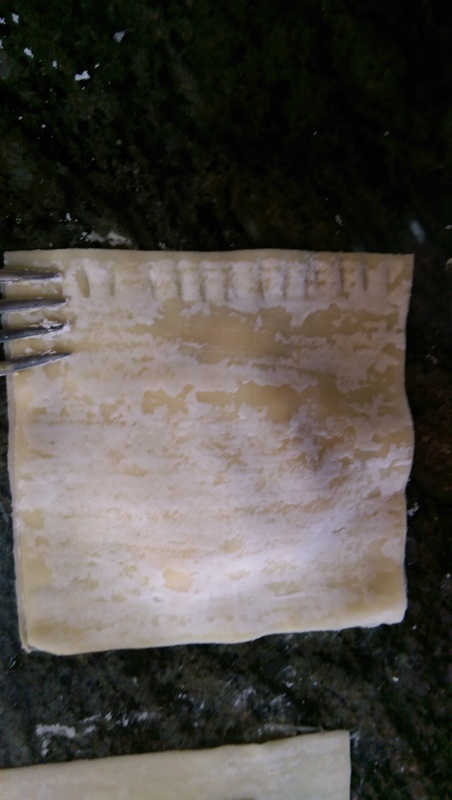 (You can crimp the excess with a crimping wheel, bit I just use a fork). Bon Appetit!! ….and Happy Halloween! I was just telling the girls that I need new recipes. I am so bored with the dinners I’m cooking. We had goat cheese ravioli from TJs the other night, and I had no idea what sauce to put on it, so I just added olive oil and salt. Meh. Anyway, I’ll take your advice and make these in advance and freeze. Sauce sounds fantastic. I believe the original recipe is from Kate. Maggie makes it occasionally for Sunday dinner. I’ve even made it a couple of times and I’m no chef, so it’s not that difficult. So good!